As most of you know, this year I get to be the National Goodwill Ambassador for Children’s Miracle Network Hospitals. This means I get to visit hospitals across the country and hang out with miracle kids, while also bringing awareness and attending fundraising events for CMNH. 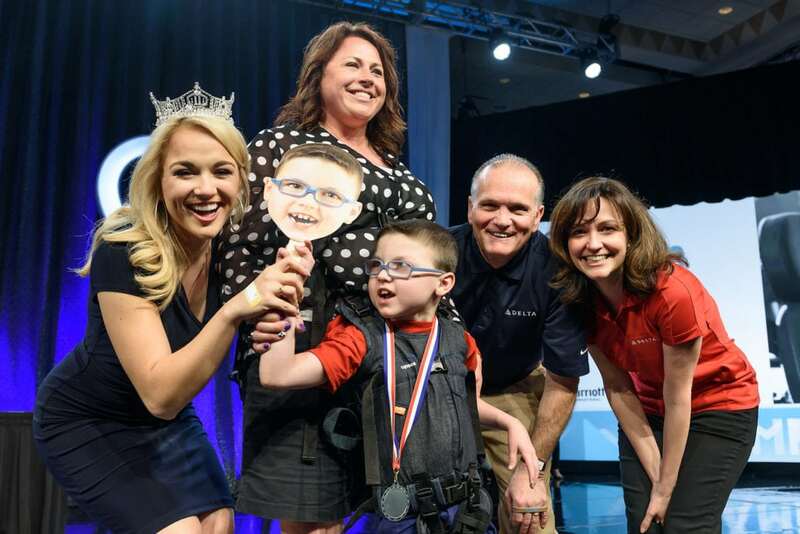 I just recently returned from Momentum, a week long event where CMNH had a “Champion Kid” from each state come to Orlando with their families for a week of Disney World fun. This included meeting the other Champion families, a pin ceremony where everyone attending can get the Champion’s autographs, and a medal ceremony. 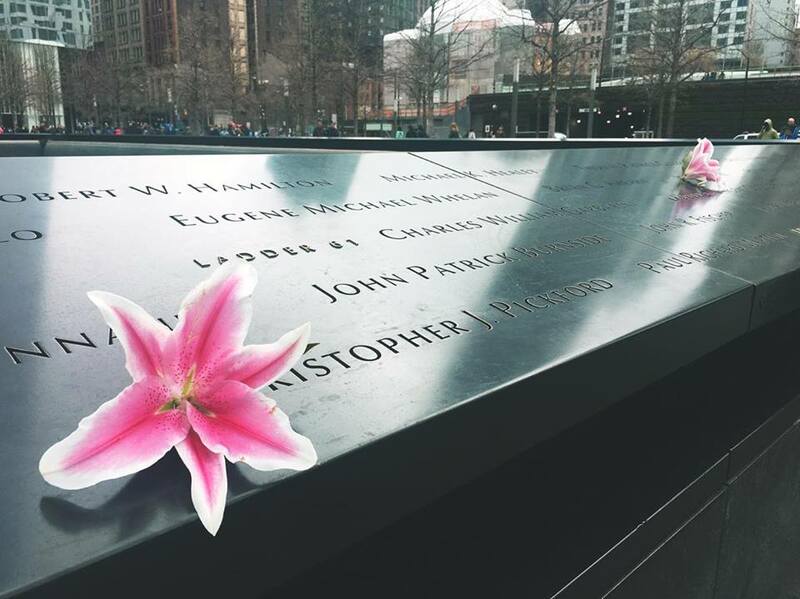 The whole week was filed with the warmest hugs and the sweetest tears, and I want to share with you all a few stories about the children I got to meet. JaKiah is the Champion from Arkansas, so we had met (and become best friends) before the week of Momentum. JaKiah was diagnosed with kidney cancer when she was four years old, forcing her to leave her preschool classmates. After finding out it was an advanced staged of Wilms’ Tumor, she underwent months of chemotherapy, radiation therapy, and surgery. Today JaKiah is in remission and let me tell you, she is the spunkiest, sassiest, life loving girl who brings sunshine to every room she walks into. She loves hugs and laughter, and also happens to be really good at skee ball. A girl after my own heart! I can not wait to hang out with this ball of energy again. Love you JaKiah! The next miracle child I want to tell you about is Logan. Logan and I go way back. I got to met him at one of my very first appearances, and every time I go to Texas, I make sure to see my favorite man. Logan has Pelizaeus-Merzbacher Disease which is a central nervous system defect of the brain, and today there are only 1,000 known cases. Logan also speaks dinosaur and asked me to be his valentine this year, which of course I said yes to. I mean how can you say no to the sweetest soul in the world. One of the first times we hung out, we were at a golf tournament and played “put the golf ball in the crown” for the whole night. We couldn’t stop laughing. Something really special about Logan’s time at the Medal Ceremony was how he walked down the runway. 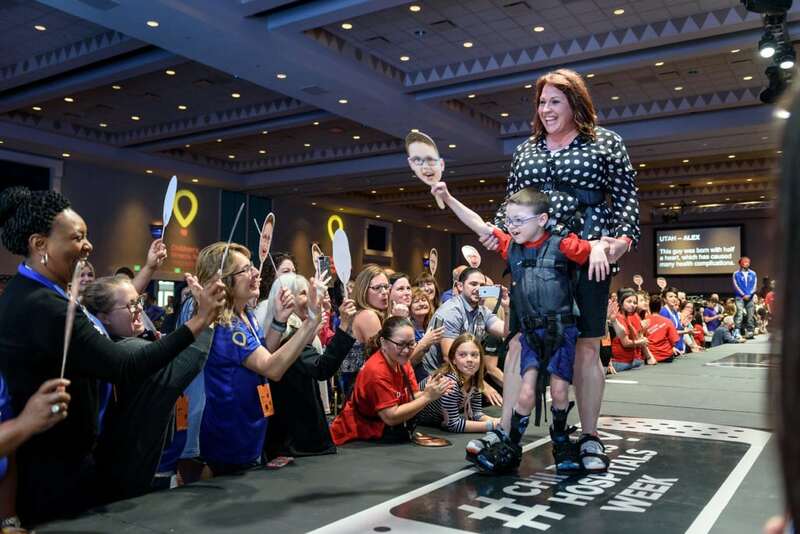 For this special moment, Logan’s mom found an apparatus that allowed Logan to stand connected to the front of her, allowing him to walk instead of taking his wheelchair down the runway. Information I wish I would’ve known before I saw them on stage, because I definitely lost it. Logan makes everyone around him more joyful, and I am blessed to call him my friend, let alone be his valentine. So much love for this Texas Champion and his family! There are a hundred more stories I could tell you from this unforgettable week, and I can not wait to share them all with you in the future.